A Nerd’s World has been open for almost two year now, and during that time we’ve supported many charities. 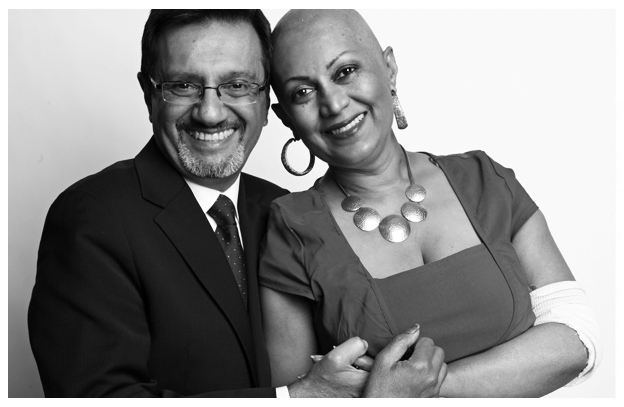 We offer free “Picture a Cure” portraits to cancer patients and survivors. Chris and I are passionate photographers, and the least we could do is present the gift of photography to the strong individuals battling and conquering such a disease. The portraits we provide are to celebrate strength and life. Our lives have been touched by the people that have stepped through our door, with smiles and an aura that is enough to brighten anyone’s spirit. Chris met Munira through the Princess Margaret Hospital. Munira was diagnosed with Stage 4, Type B Cell Lymphoma coupled with Stage 3, Multiple Myeloma on March 8, 2012. Chris felt blessed to meet and shoot such a powerful and fearless woman alongside her supportive family. Munira and Chris keep in constant contact as she continues to inspire others regardless of the obstacles she has endured. Please visit www.i-will-survive.org to follow Munira on her journey. I was honoured to do a photoshoot for Gabriel and his family. Gabe is a 1 year old that has been diagnosed with Leukemia. This lovely child has an amazing smile and laughter that delivers a burst of wonderful energy into the room. He is currently undergoing chemotherapy at Sick Kids hospital, but you couldn’t tell by the look on his happy little face. The beautiful family came together to the photoshoot with a positive vibe, unforgettable story, and left a lasting impression in my soul. We invite you and your family to visit our studio and enjoy a one hour photo shoot absolutely free of charge! Please email us at nerd@anerdsworld.com to book a session today. Read our Inside Toronto article here.